A-HOTEL.com - Luxury and cheap accommodation in Gorskaya, Russia. Prices and hotel, apartment booking in Gorskaya and surrounding. Featuring free WiFi, Park Hotel Country is situated in Sestroretsk. Among the various facilities of this property are a private beach area and barbecue facilities. Set in Sestroretsk in the Leningrad region, Apartments near Razliv lake has a balcony. The accommodation is 32 km from Saint Petersburg. Located a 10-minute walk from the Gulf of Finland in Sestoretsk, Mini Hotel Black and White features a sauna and free parking. The rooms offer a TV, working area and private bathroom. Located 700 metres from the Gulf of Finland in Sestroretsk, Voda Aquaclub & Hotel offers free WiFi and free parking. Sankt-Peterburg Stadium is within a 20-minute drive of the property. Situated in Lisiy Nos, Taverna Lisya Nora has a garden and a terrace. Well located in the Primorsky district district, this inn features a bar and a restaurant. Boasting accommodation with a balcony, Apartment on Gagarinskaya 77 is located in Sestroretsk. This apartment features accommodation with free WiFi. Cottage Venera is a family situated in Sestroretsk, 25 km from Saint Petersburg. Guests benefit from balcony. Razliv Zaliv Hostel & Hotel is set in Sestroretsk and features a garden and a shared lounge. The accommodation provides free WiFi. Located in Sestroretsk, Kvartira u zaliva offers accommodation with a balcony and free WiFi. Set on the beachfront, this property features a garden and a terrace. 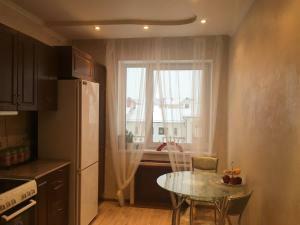 Apartment Dyuny is offering accommodation in Sestroretsk. All rooms boast a kitchen and a private bathroom. Located in Sestroretsk in the Leningrad region, Elling on Primorskoye has a terrace and lake views. Guests staying at this holiday home have access to a fully equipped kitchen. 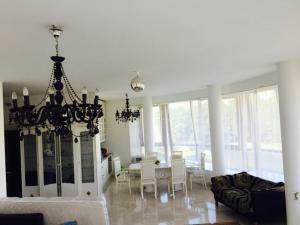 Located in Sestroretsk, Квартира в центре Сестрорецка features accommodation with a balcony and free WiFi. The accommodation is 34 km from Saint Petersburg.